The vegan lasagna recipe was very intriguing. A very creative take on lasagna incorporating clean eating staples into the recipe is great. I particularly liked the cauliflower and coconut milk recipe. The fact that tofu was included in the recipe is awesome. Protein without actually having meat added. I wasn’t particularly fond of the actual finished products look though. It didn’t look very appealing to me. Not having melted mozzarella on top was something I missed. Overall though good job. 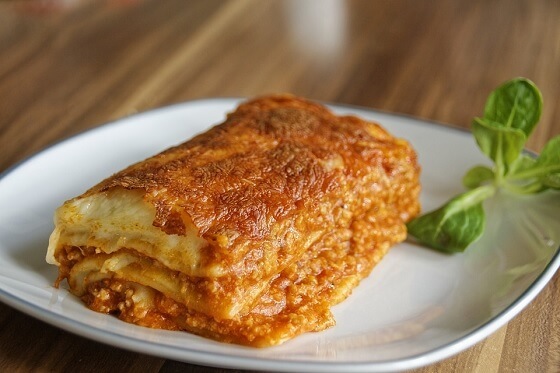 This is a smoke and mirrors version of Italian lasagna alla bolognese but with a Vegan twist. Blending tofu with cauliflower makes a pretty convincing substitute for ricotta cheese.